Last year, Google’s Pixel 2 and Pixel 2 XL stole all the limelight as the phones impressed everyone with an amazing camera. In fact, comparing the cameras of this year’s flagships with the Pixel 2, there are certain aspects where the Pixel 2 is still the best. Google showed how it used a single camera lens to produce impressive portrait shots and this year; we are expecting to see a dual camera setup that will bring a much-improved camera. Today, an image was leaked that showed the alleged screen protectors for the Google Pixel 3 and Pixel 3 XL. If it is legit, then it seems like by adding a notch, Google will also jump on the bandwagon. 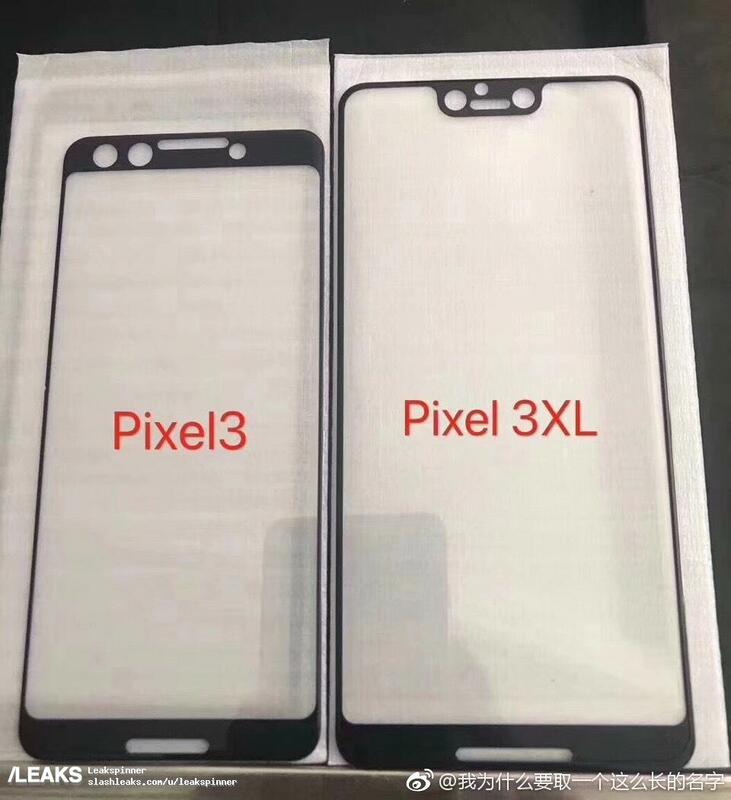 As seen in the image above, the Google Pixel 3 has a design similar to last year’s Pixel 2 XL as it has an 18:9 display on the front. Both phones have dual front-firing speakers. There are two holes on the front which are probably for the dual front cameras. The Google Pixel 3 XL has a notch on top, just like a lot of phones launched this year. In fact, when Android P Developer Preview was launched with Notch support, most of us speculated that at least one of the two Pixel devices launching this year would feature a notch on top. 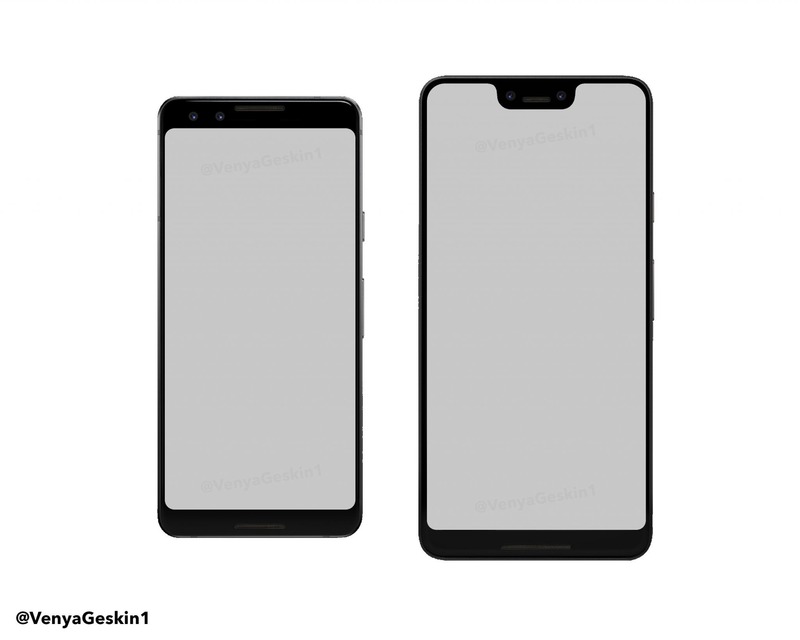 The renders above are based on the screen protectors leaked today, and if the Google Pixel 3 & Pixel 3 XL are indeed going to look like this, most of the fans won’t be happy to see Google following this notch trend. What are your views on the design of the upcoming Pixel 3 phones? Will you buy the Pixel 3 XL if it comes with a notch? Do let us know via the comments section.